Having with years of experience in this domain we are the leading manufacturer and supplier in offering wide quality product range of Cement Concrete Pipes. These pipes are highly and widely demanded and appreciated by our esteemed clients. These products easily available in market at reliable price. We manufacture high quality of MS pipe line both seamless and joint concrete pipe are manufactured as per our customer requirements and make female rings are welded on both sides. Collars of make female rings are machine in such a way that they can be easily fitted at site to the desired distance without any problem. 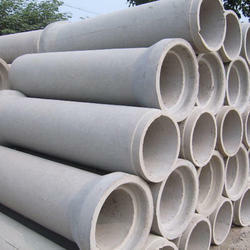 We are offering RCC Precast Concrete Pipes to our clients. 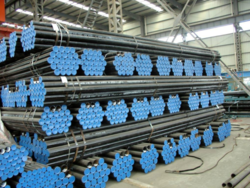 Backed by the support of our talented professional in this domain, we have been able to bring forward a qualitative range of Concrete RCC Pipe. One can avail from us Concrete Pipes in huge number at highly affordable price. Being the leading names in the industry, we are offering an extensive range of Prestressed Concrete Pipes. Being a customer focused organization, we are engaged in offering a wide and exotic assortment of Concrete Pipes. These pipes are extensively used for water supply lines, sanitary sewers, irrigation and culverts & storm drains. We offer a variety of RCC Concrete Pipe of approved quality are widely used in water supply locations in the sewer system and the canal and dams used. They are known for their high performance, reliability, durability, easy installation and low maintenance. We accept large orders and supply pipes of the length of time involved.